I had a chance to go behind the scenes for the 32nd annual RIT Big Shot. 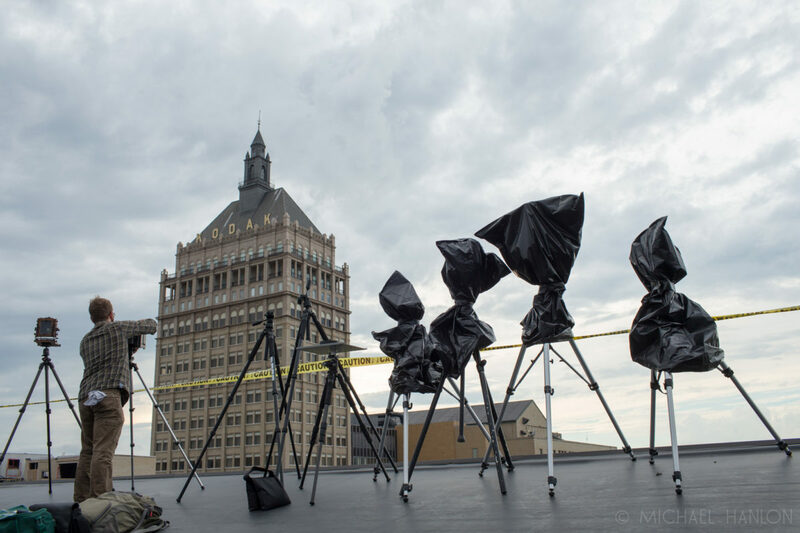 Captured from the roof of the Button Factory in Rochester NY, the RIT big shot was a collaboration between Eastman Kodak Company and RIT’s School of Photographic Arts and Sciences. You can read more about the history here, and more about last night big shot photo HERE. Thank you Dan Hughes and Nick Brandreth for having me along. This year marks the 32nd official RIT Big Shot. This year it took place in RIT’s hometown of Rochester NY. The subject, the iconic Kodak Tower. 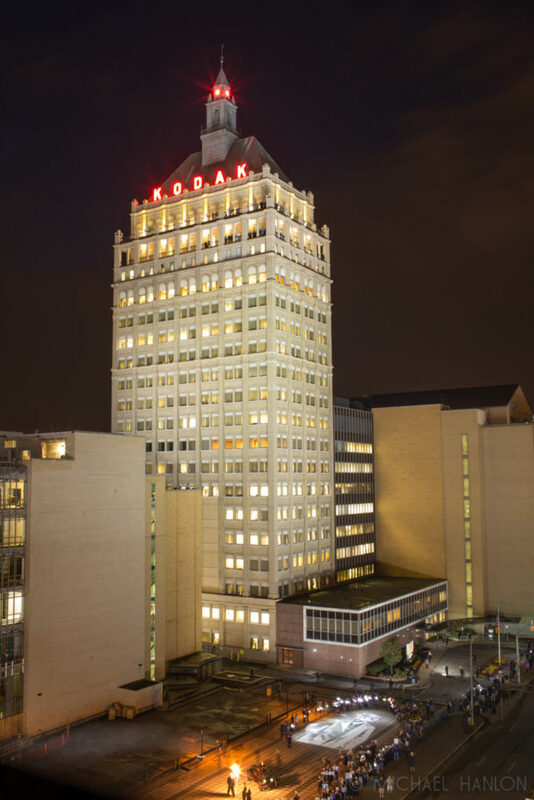 Eastman Kodak Company headquarters completed in 1914 was Rochester’s tallest building for more than 50 years. The project supervisor was none other than Kodak’s founder himself, Mr. George Eastman. Paying homage to Mr Eastman, organizers placed a portrait of him on the sidewalk for yesterdays photo. My own personal 'Big Shot' photo of the iconic Kodak Tower in downtown Rochester NY. 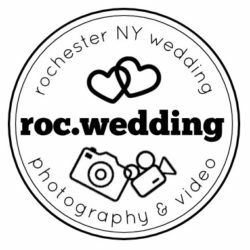 Thank you Nick Brandreth of George Eastman Museum and Dan Hughes of RIT for having me along to document last nights activities. It was wonderful to be a part of it.